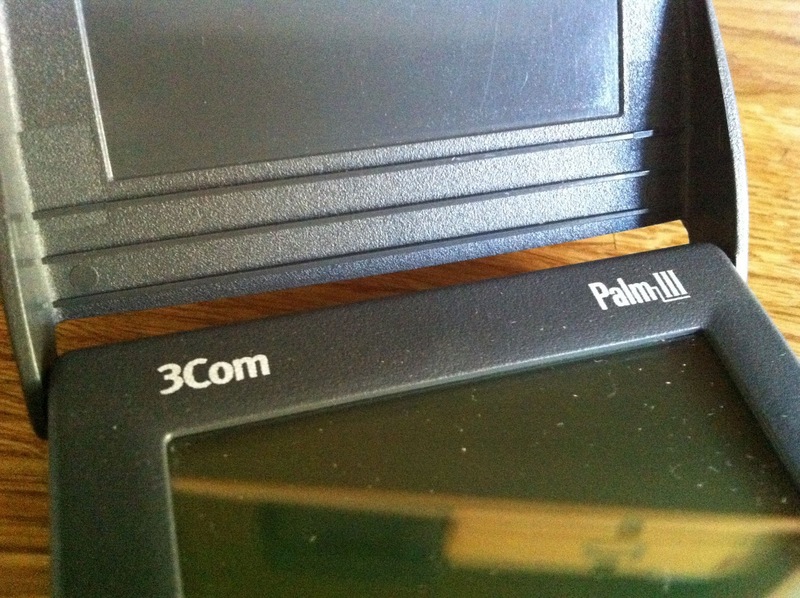 Nope, it isn't made by Palm, it's a 3Com model this one. 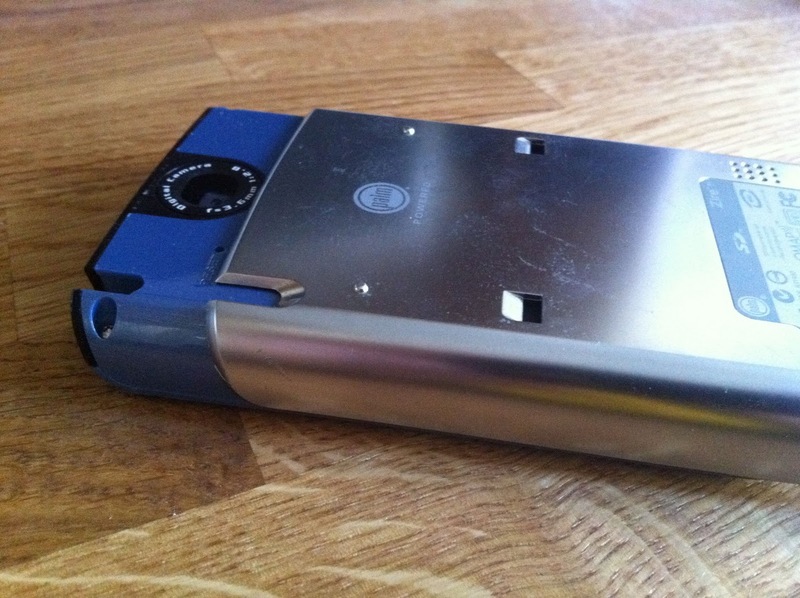 The m100 was a sort of budget PDA and I thought it was a mistake personally. Quite rare although not worth anything sadly. 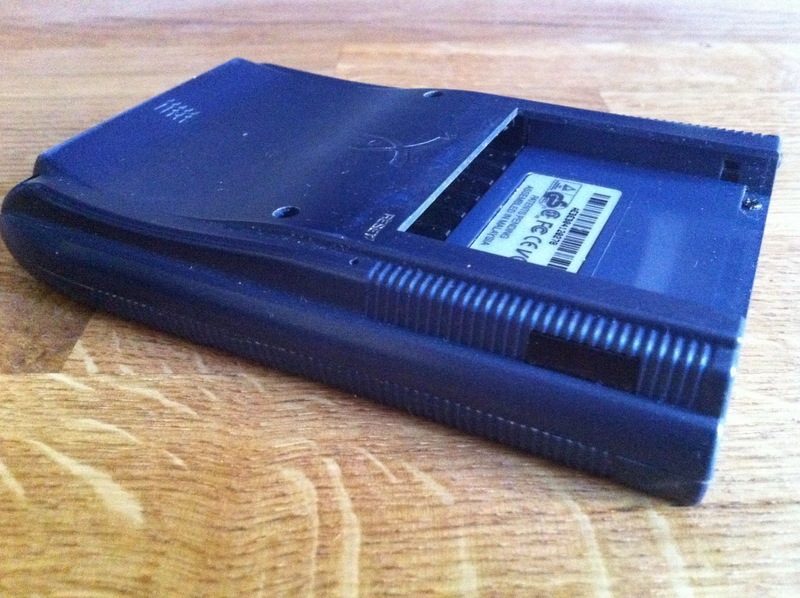 By today's standards there are toys with more memory that this little PDA. I really love the old prism. The colour Handspring model, but before the treos ruined them. Not a bad PDA all in all. I liked that it had a camera, but it always seemed to suffer when compared to the Palm Zire 72, which I always felt was a much better design. I revived an old mac the other day which had a windows partition on the hard drive and guess what was on there? PDA Toolbox. 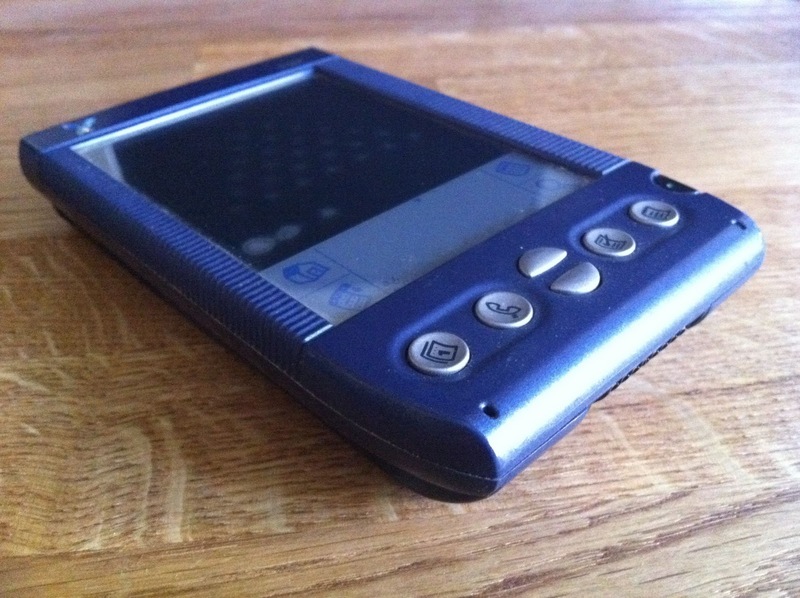 PDA Toolbox was a graphical programming language of sorts for the old Palm OS. 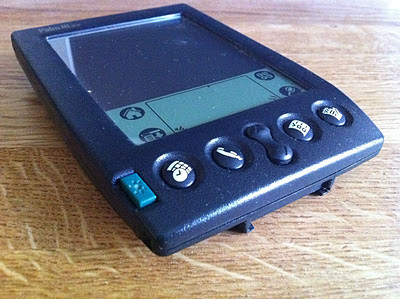 You could drag and drop screen elements onto a form and make an app that would run on your Palm PDA. 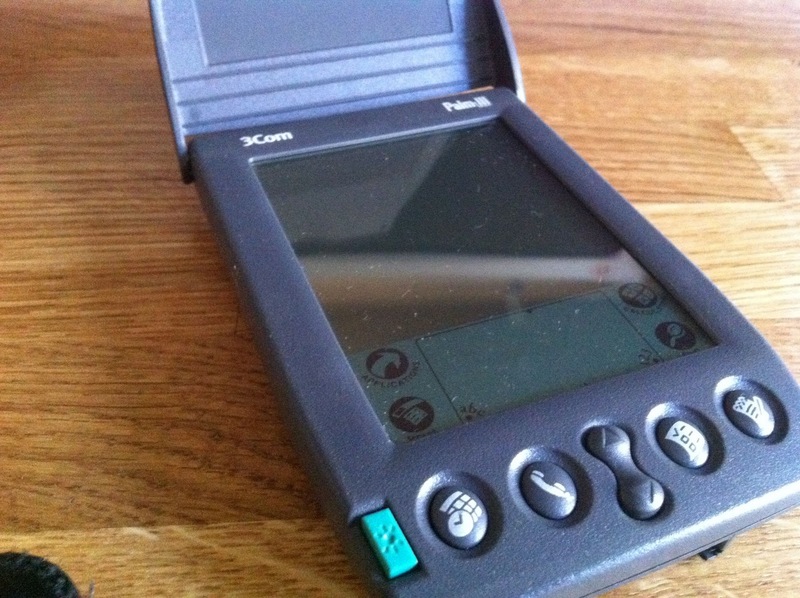 In fact you could even sell your apps through some of the old portals like PalmGear and handango. PDA Toolbox was ahead of it's time really. It is long gone now and I doubt you'd find much about it anywhere on the net. I'm glad that I seem to have kept it, and I even found a load on unfinished projects too. How like me! Whilst I haven't got much done with this since I last posted about it, I have tried compiling the app, only to find that it generates just over 4000 lines of code! I was a bit bigger than I expected. I still haven't really got to grips with what most of the app is doing. Note to self, don't part finish a code project with no documentation whatsoever. Anyway, I will press on with this and maybe launch a good old Palm OS app in the next few months! 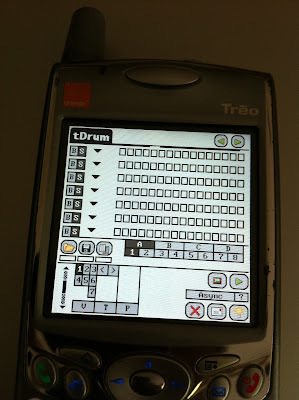 I recorded this video ages ago and posted it on Palm Sounds, but it is still worth a look if you're intending to play with viziBasic. 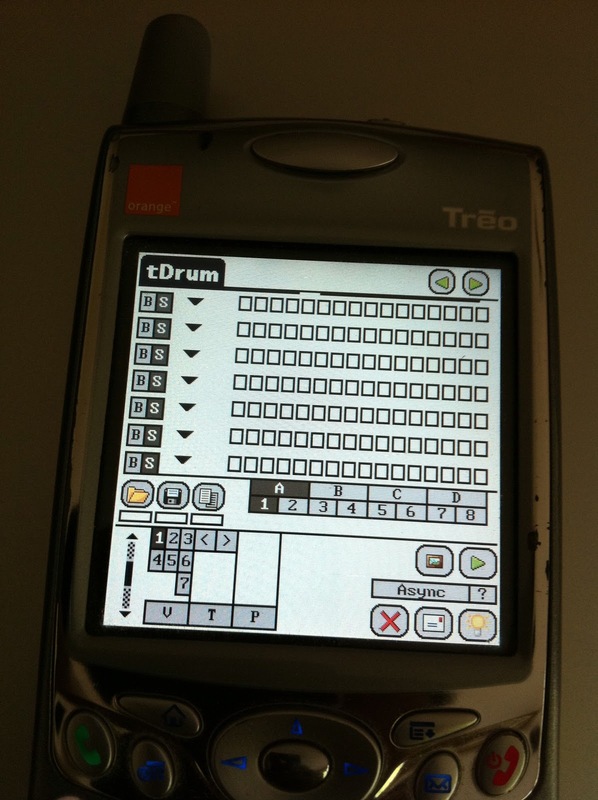 I started making this drum machine app years ago using viziBasic and iziBasic. I think that it got completely out of control as I kept having ideas and trying to make everything work and none of it did. Still, it look nice and I might just revisit it now that I've got my Treo back up and running. It's always difficult to read a new manual and get to grips with a new language. 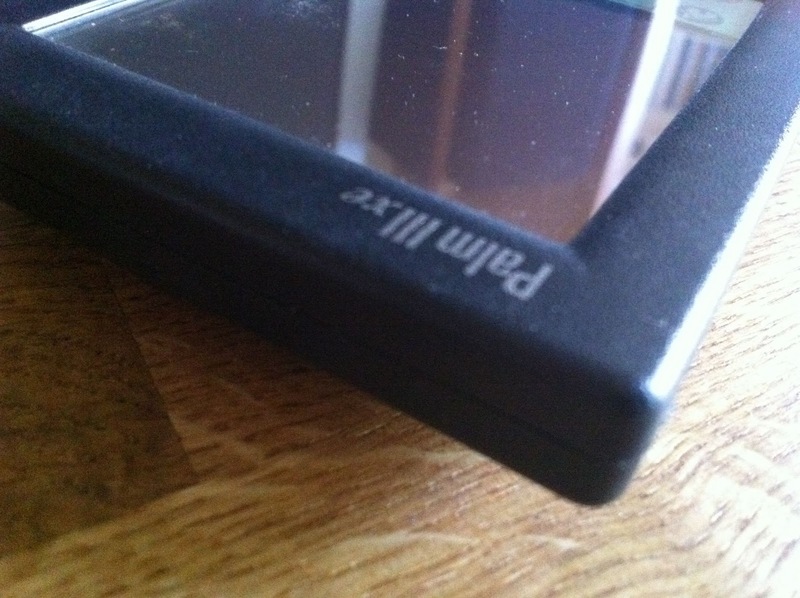 I've just started to read the Pixilang manual today. Take a look. After playing with some of the example in PixiLang, and it's made me think about starting to try and make something using it. Whilst I'm experimenting I'll try and post updates on what I'm making and how I'm finding the process of getting used to the language. I can remember when pixilang first arrived for Palm OS. It was truly amazing. Something completely new and really innovative. Whilst I've never programmed anything for it (I know I should really), I've always enjoyed the patches (or whatever you should refer to them as) that came packaged with the app. This morning I was playing with it again, for the first time in a long time, and I used the 'sound generator' sketch/patch, and it reminded me of SpectrumGen and PixelWave, which are of course from the ever awesome Alex Zolotov. The next few things I'll upload to the library site will be projects which have tried to improve on the Palm OS in some way. Not all of them will have been successful, in fact, many won't have been at all, but it's worth taking a look at in my opinion. I've posted this at the Palmorama library site so anyone can download it. 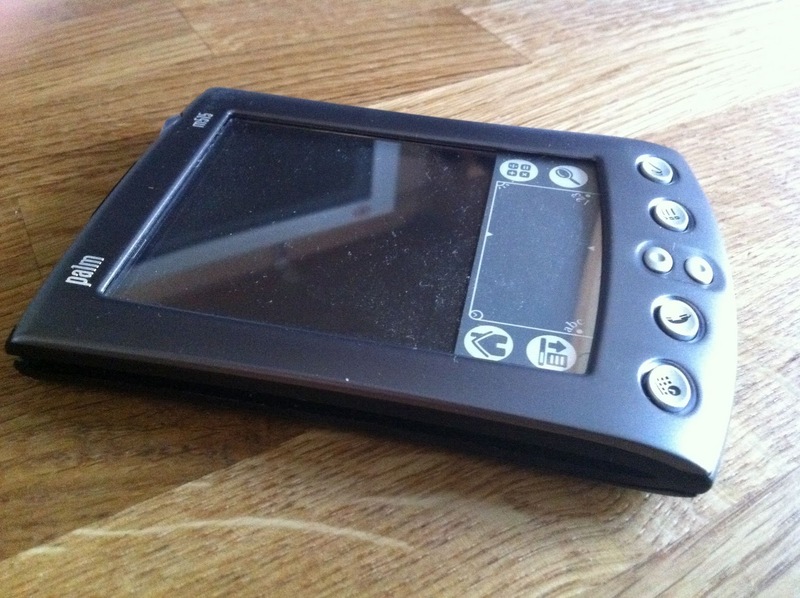 Miskinix was a project that was going to bring windowed views to the Palm OS. It didn't last long sadly, and I doubt that you'll find these files anywhere else now. If you do try to install this then please remember that it's a demo, and that you do so at your own risk. 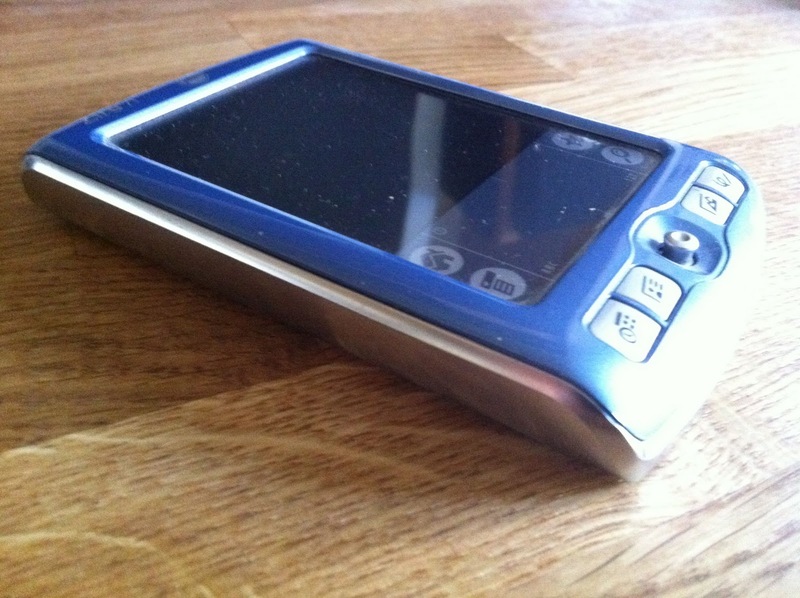 I loaded it onto my Treo 650 and it worked ok, but that's not to say it will work for your device. I've collected loads of Palm stuff over the years and I've held on to most of the software. In particular I've collected strange and experimental software, most of which you can't get anywhere else now. So I've decided to share it in a library of sorts that I'll be adding to regularly I hope. Why no Palm OS emulator for Android? I went in search of an emulator for the old Palm OS for Android devices, and guess what. I came up with nothing. Not a single thing! The nearest I got was Styletap talking about the possibility of doing something in March last year, but nothing since. I really hope that maybe they do make one, but I'm not hopeful. If you want to get in touch with me about Palm type stuff specifically there/s now a contact form in the about page. Is there a community for Palm OS software anymore? I'm just starting to take a look around at what is still available for the old Palm OS these days. Of course there are the portal sites like PalmGear, which now deals with many other platforms, and Handango, which is the same. I ventured over to 1src which I had used a lot in years gone by, but there didn't seem to be a great deal happening there anymore. My guess is that Palm OS will be continue to reduce to a small number of stalwart sites and bloggers who keep things going and write about what used to be and what could be in the future. It's to be expected I suppose. What I'd like to do with Palmorama is build it into a resource for Palm OS, and possibly Windows Mobile too, for software, projects and the like and see where that goes over time. I'm sure that there are still people out there using their palm PDAs and even developing new stuff for them, and I hope to connect with them and re-acquaint myself with the more esoteric ideas going on. It'll be fun, that's for sure. My old Treo 650 has sat around for a long time in need of some love. So I've decided to revive it again and do something a little strange with it. That is, strange aside from making music, coding etc using it. 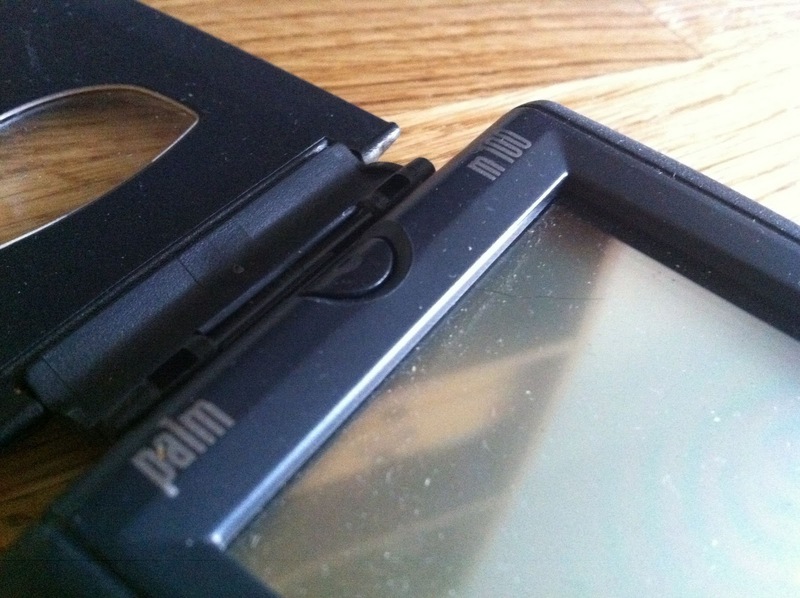 My first step is to get it a new battery as the one it has gives out way too quick to be of any use at all. Once I've got that done I'll start to sort it out properly I think. 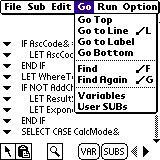 There have been lots of mobile coding tools for Palm OS over the years, but a few stick out, and one of those that sticks out is FastBasic. It's a really simple application to use and it compiles stand alone applications too. If that wasn't all it's free as well. So it's been a long time now since I posted anything here. It's a shame really. 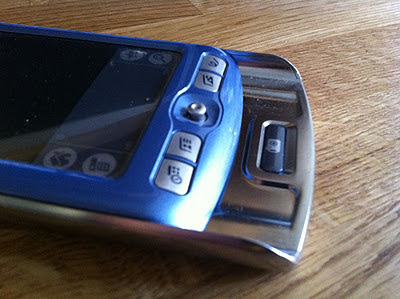 I still hark back to my Palm days, and I still use a Palm device, although not often now. So I've decided to sort of restart Palmorama. It has a new URL, www.palmorama.net, and a new look too, although that'll probably change and evolve over the next few months. 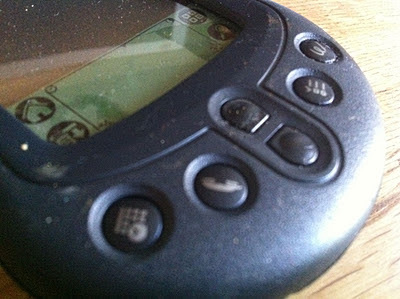 The rough plan is to keep it going, to make it about what you can still do with a Palm OS device and about what is happening in that area, as there are still projects going on and people making strange things.